I am honored to be your President for the year 2017-18. Let me introduce myself. I am primarily a clinical researcher in Global Mental Health and Patient safety, teacher and a community psychiatrist. I have retired from having an extensive private practice. I am on the faculty of 3 Departments: the Johns Hopkins University Schools of Medicine, Nursing, Public Health and the Armstrong Institute for patient safety. Leah Dickstein, the collective ‘mother’ of our sisterhood first asked me to join the AWP over 15 years ago. Since then, I have carried a number of responsibilities, been through changes, and continue to fight the battle between my head and my heart as a number of you do and have done. I have gained many friends through the AWP, and cherish my relationships with them. Although we meet at the Annual Meeting, we do not always have an opportunity to network, commiserate, and discuss issues of concern to us otherwise. So I ask you all to write to me, pose questions, give suggestions and join our active group in bringing in new members. We need more women, especially younger women to help guide and shape our organization. We need more hands to help with our awards that are listed on our website. And we need greater participation at our annual meetings. 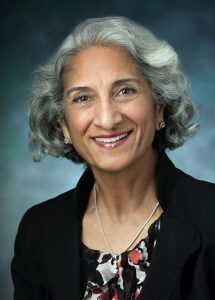 This is a terrific organization that has been in the shadows and needs to be highlighted as THE crucial organization that has shaped many women Presidents of the American Psychiatric Association and can mentor younger women. We congratulate Altha Stewart as the first African American Woman President of the American Psychiatric Association. We look forward to a very productive year. My warmest regards to all. Copyright 2017 AWP - All Rights Reserved.